I live in a very active house. With me, my wife, our daughter and son-in-law, and our two young sons living in the same house, I've got gadgets coming out of my ears. Smartphones, iPods, handheld gaming devices, Android tablets and eReaders...you name it. If its got a battery and runs on electricity, you can probably find it in someone's hands, with them looking for a place to plug it in to charge it up. This became crystal clear to me after my daughter got married and she and her husband moved into the house. With the kitchen being the hub of the house – everyone congregating and putting phones, iPods, keys etc., in pretty much the same place - I quickly found myself with a rather big problem. After a long day at work, I walked in the house with a hungry stomach and hungry iPhone, and I had no place to plug it in to charge! All the outlets in my kitchen were taken by appliances or other charging electronic gadgets. 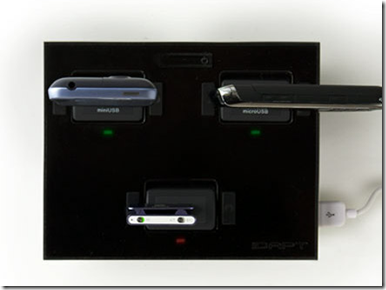 Thankfully, I had just received the IDAPT i4 Universal Charger in the mail to review. With a quick snap of my fingers and a mischievous grin, I ran to my home office, grabbed the i4 and brought it to the kitchen. After a few moments of putting tips into the charging base, I had 2 Android smartphones and 2 iPhones charging off of it through a single outlet in my kitchen; and most importantly, I didn’t have a mass of spaghetti-styled cords laying all over my counters. 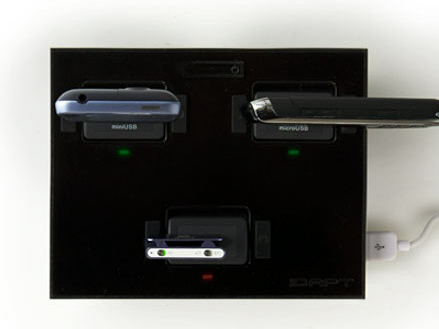 The iDAPT i4 is a charging solution that can power up to 4 mobile devices simultaneously. Its compatible with over 4,500 mobile and electronic devices including the iPhone, iPad, Blackberry, Nintendo DS, PSP, GPS systems, digital cameras, and Bluetooth products. The iDAPT i4 features an interchangeable power tip system that makes it completely customizable. 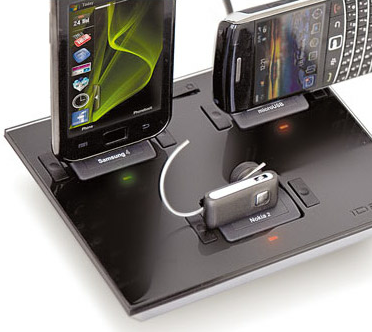 It has 3 charging points on its base as well as a USB charging port on its right side. You can find power tips right on the iDENT web site’s i4 product page. The best thing about the i4 is that it can neatly charge 4 devices at the same time. If one of the 10 different tips that comes with it don’t cover one of your needs, you can take a quick trip to their web siteand find the one you need. Tips aren’t very expensive, but I think they are a bit over priced based on the entire cost of the unit WITH 10 tips. Most tips cost $9.99 USD. The iPhone/iPod/iPad tip is $12.99 USD, and the base unit with the up to 6 tips is $59.99 USD. Thankfully, my i4 came with one iPhone and two microUSB tips. I was able to insure that all four of my smartphones can charge at the same time, though one iPhone has to hang off of its 30-pin USB cable while its plugged into the right side of the base charger. The unit is GREAT; and I’m glad I have it. Honestly, I’d be in trouble without it. I’ve got a few issues with it though. First, the i4’s tips are expensive. If you have to buy additional power tips, they shouldn’t cost 17% of the base product. That’s a bit pricey. Maybe that’s why the give you up to 10 to start with… Secondly, the power tips only go in the base unit, in one direction. I’ve noticed that some Android smartphones have their microUSB ports upside down. The myTouch 3G Slide (HTC Espresso) is a perfect example of this. It has to sit backwards on the charging tip in order to charge. 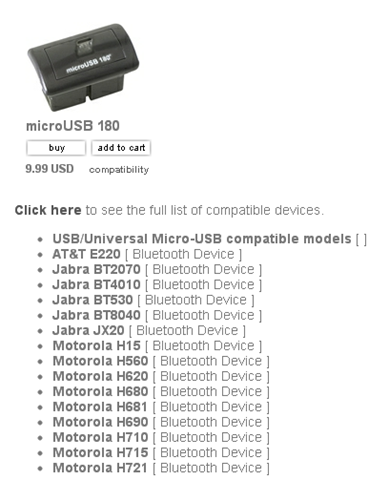 The i4 microUSB 180 tip may solve this problem, but it wasn’t included in the 10 that I received; and I can’t get a clear enough picture of it on iDENT’s web site to tell. 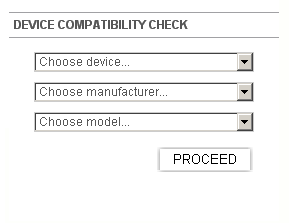 the HTC/T-Mobile myTouch line of smartphones is also completely missing from the compatibility lists on the site. The other issue that I have is that each device that sits on the i4 is completely vertical. A great deal of stress is put on the charging tip as well as the device connector when the device sits on the charger. After immediate placement, devices tend to wobble a bit . If the unit and tips were redesigned to allow charging devices to be supported while angled back a bit, a great deal of stress would be taken off the tip and device connector, allowing for a better charge connection as well as less stress on the device itself. Over all, I’m very pleased with the iDAPT i4 Universal Charger. Provided you can get enough of the right tips with your initial purchase, the solution provides a very economic and organized charging solution for all of the electronic devices in your life.